Don't wait to get a flawless skin for the holiday season! SAMPAR, 1st urban cosmetics brand, believes that ‘Beauty cannot wait’ and dares the ‘double action’ unique promise: immediate visible results paired with a long term clinically proven efficacy. 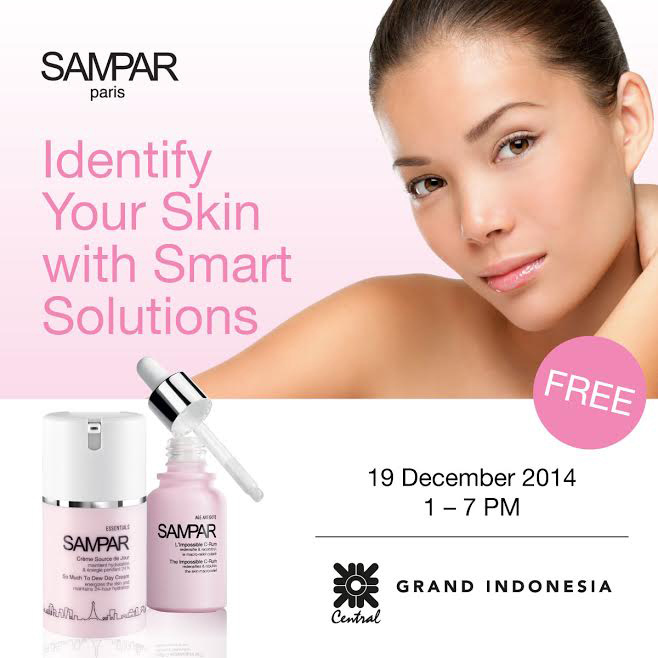 Get your free consultation with SAMPAR only at Central Department Store, Grand Indonesia - G Floor.